Armagh fought back from five points down to beat Monaghan by one in Sunday's McKenna Cup derby clash at Clones. Daniel McKenna's free proved the difference and gave Kieran McGeeney men their first points in Section C.
A Kieran Duffy goal had helped Monaghan build up a 1-6 to 0-7 interval lead. 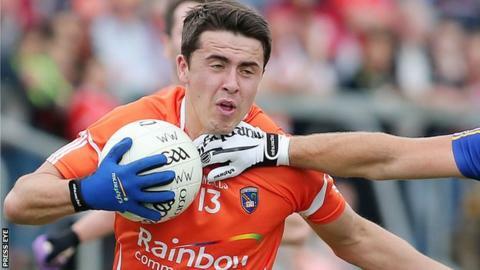 Owen Duffy scored a second goal as Monaghan stretched their advantage to 2-7 to 0-8 but Armagh finished stronger to secure the narrow victory. Armagh's Stefan Campbell was named man of the match. The Pool C programme ends on Wednesday night when leaders Cavan host Monaghan while Armagh face Ulster University at the Athletic Grounds.